You’ve probably worked really hard for a good ranking on Google. Your ranking was improving every week and you were finally on the first page of Google. And then all of a sudden you see a drop in your ranking. What happened? You probably don’t know right? One minute you were getting lots of traffic onto your website and it was creating a steady amount of leads and sales. And the next, you are seeing next to nothing. Your traffic, leads and sales have all dried up. You probably think it’s time to turn on panic station! Especially when you make the grim discovery that your rankings have indeed dropped. But you didn’t do anything. So you are left scratching your head wondering how you are ever going to recovery from this mess that you didn’t even know you created. 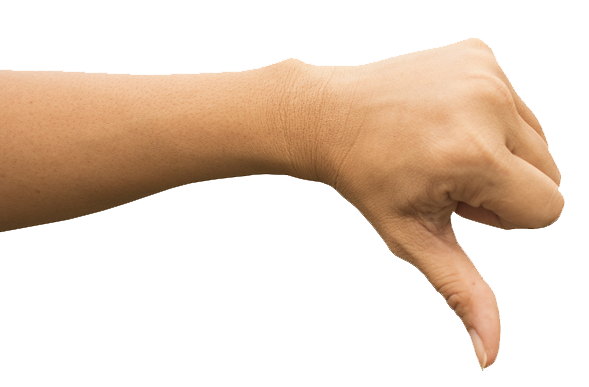 Unfortunately, there are many reasons you many see a ranking drop for your website. 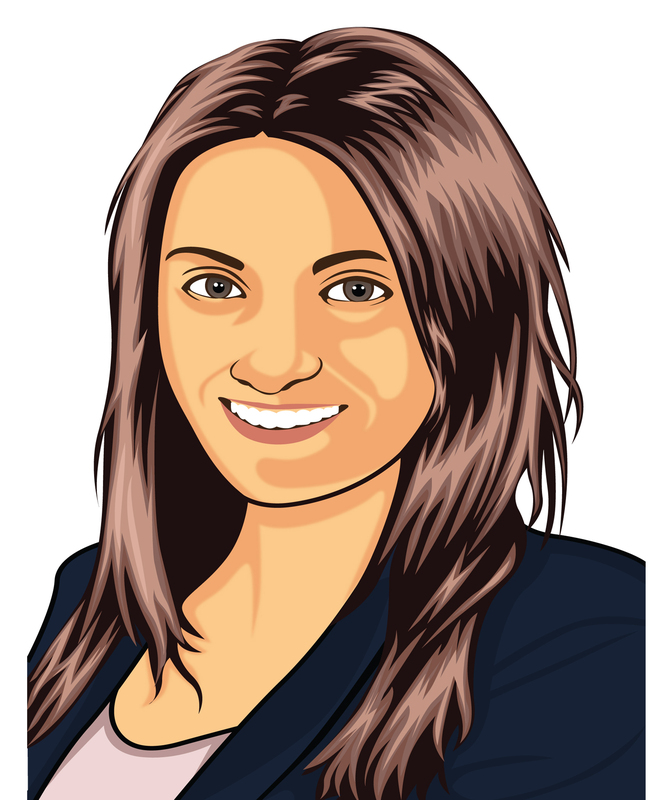 But lucky for you, this blog will go over the most common reasons for a ranking drop. And on top of that I will tell you how to fix them! It is crucial to note here before we go any further that, yes, rankings are important but they shouldn’t be your sole focus. There are other central SEO metrics that need to be looked at as well. If you are only focussing your efforts towards rankings you could be counterproductive. A healthy balance is always nice. As I said before, there are many reasons as to why your ranking could fall. It may be because of a mistake you could have prevented, but obviously didn’t know about. Or it could be due to something completely out of your control, i.e. what your competitors are doing. Link building is difficult at the best of times. And even if you are strictly following the best practices of link building, a sneaky bad link can sometimes squeeze its way in. The bad link may not be relevant enough to your business or you may have built the link in a rush meaning you didn’t do it properly. Bad links become really annoying when you have paid a professional and they still pop up. This is unfortunately completely out of your control. However, if you want to limit the chance of this happening, it is better to enlist the assistance of a quality SEO agency that only focuses on white hat SEO methods. 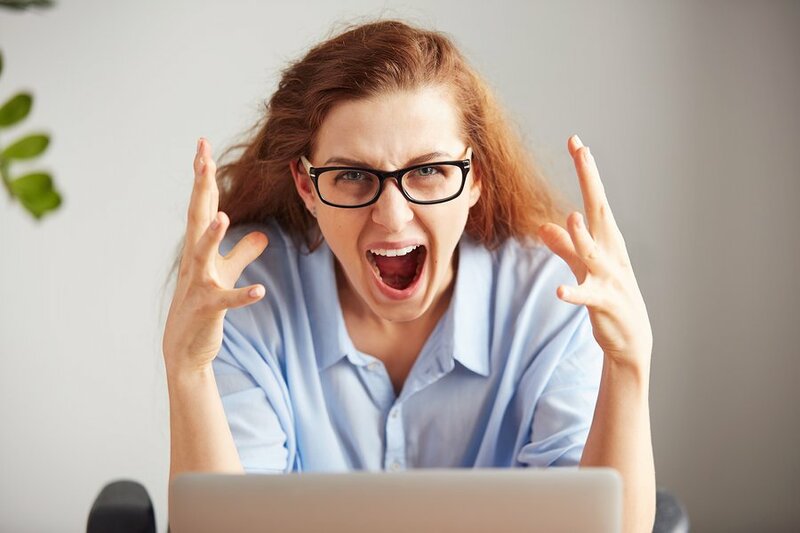 No matter who did the linking, if Google finds an unsuitable, low authority or irrelevant link going back to your website you could see a drop in your rankings. Yep, that’s all it takes. This is why it is so important to be careful when backlinking and if you aren’t completely confident on how to do it, it is better to get a professional instead. 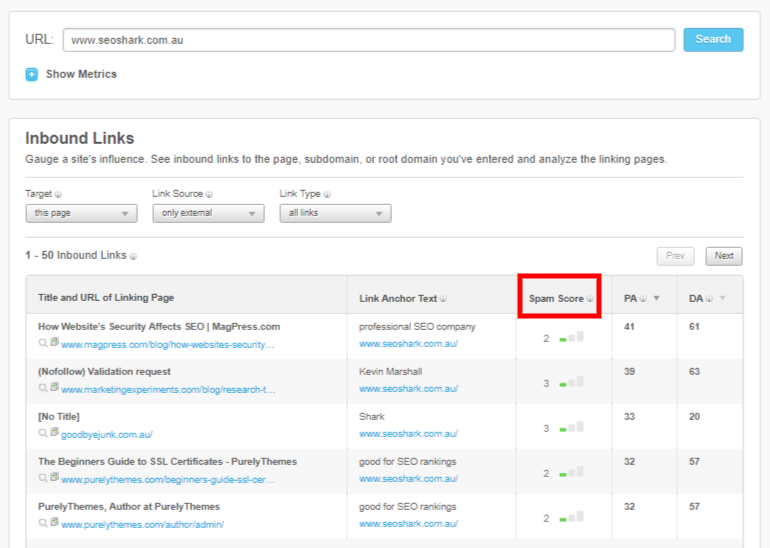 If you aren’t sure about your backlink profile, you can view it by using a tool such as Moz's Open Site Explorer. It’s free to use and all you have to do is input your URL and the results will be displayed. By looking at the “Spam Score” column you can see the reasons why the spam score is that particular number, as well as find out the amount of websites that were penalised by Google with that amount of specific spam. All of SEO Shark’s spam scores are very low. If you see your website has a link with a high spam score, this could be the reason of your ranking drop. This tool is great because it helps you pin point where the potential issue is coming from. If you find a suspicious link all you have to do is make a remove request to the webmaster who is hosting it. Of course, this may be you, or it may be an outside specialist agency. Google makes changes to its algorithm on a semi-regular basis. You will need to be prepared and aware any time Google makes a change. Something that was totally acceptable before is now frowned upon and could be the reason your ranking has dropped. The reason Google chances its algorithm is because it wants to ensure that their users are always having the best experience, i.e. finding exactly what they were looking for in the shortest amount of time possible. There is a reason Google is dominating the search engine market! The trouble is, unless you work for Google, you don’t know the exact components of the algorithm. 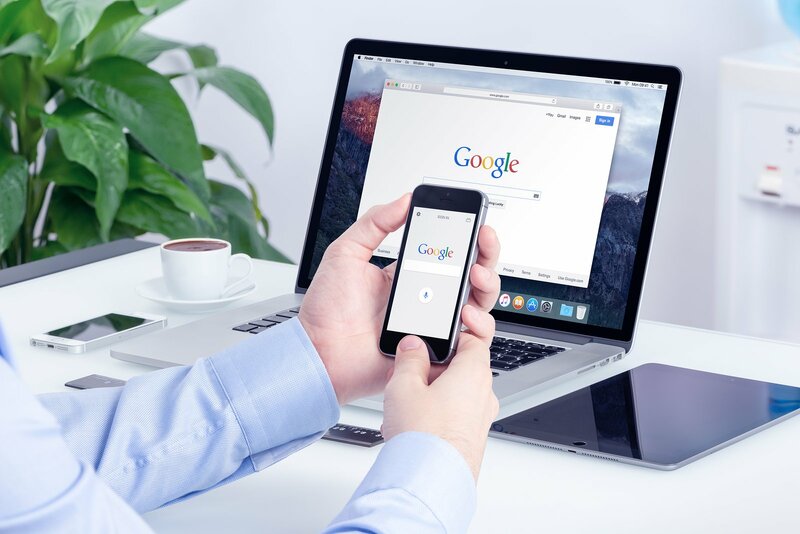 This is why it is important to do your research when there is a new update as Google may give you some clues, as well as this, experts in the field will usually give their opinion on the update and what it means. There is a way to understand if a change in the algorithm has resulted in a ranking drop! Try going to Advanced Web Ranking’s website. Here you will see more details about the Google algorithm updates and by looking at your own data you can see if your drop coincides with an algorithm change. Just because you have a great, high authority link doesn’t mean it will always be there. Sometimes you can lose links, even the really good ones. Authority is one of Google’s ranking factors and if your high authority link is removed for some reason your ranking is likely to take a hit. A positive link can be lost if the webmaster of that website changes the link to a “nofollow” link, or even if that removed the link from their website altogether. It can be quite disheartening to lose such a powerful backlink, especially when you worked really hard to get it. Unfortunately there isn’t much you can do if this situation presents itself. Just keep working at getting more backlinks and eventually another high authority link will come along. Let’s be honest, you are going to have competitors. There is no way around it! This means there are lots of businesses competing for the top spot on Google. Some businesses will do whatever it takes, even if it means unethically pushing down other competitors in the rankings. However, most businesses will fight fair, but if they take the top ranking on Google, it is going to be at someone else’s expense. So make sure you are as aware as possible on what your competitors are doing to get their ranking. If your competitors are trying something new and successful and they are climbing up in the rankings, it could be at your expense. This may result in your own website dropping in the rankings because you aren’t paying attention to what your competitors are doing. It’s always a good idea to update your website design, giving it a modern, up-to-date fell. However, you should expect a drop in rankings when you finally go to launch this new design. You can prepare and make the website 100 times better than it was before but still see a drop in the rankings. What you should do is look to minimise the impact of the new look website on your rankings. To do this make sure you have a proper 301 redirect plan and your website is thoroughly tested. Lucky for you that your ranking usually returns back to normal within 1 to 2 months. Where there is a problem, there is always a solution! Now you know why your ranking dropped, but do you know how to fix it? Good news for you, there are some things you can change in order to attempt to boost your rankings. The more people clicking on to your website, the greater the signal sent to Google that your website is relevant and well-liked by its users. But how do you even know what your CTR is? Well it’s simple, log onto your Google Webmaster Tools account and you will be able to check it. 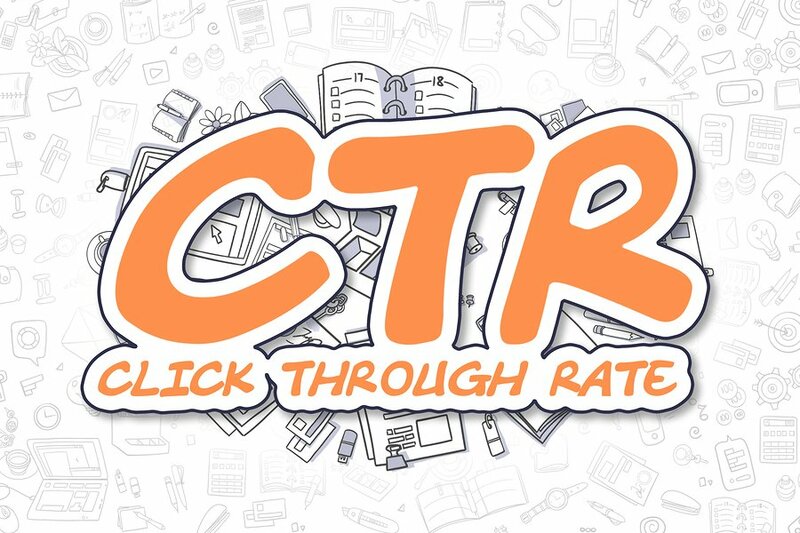 This tool actually tracks your CTR and you will be able to see how you are going compared to previous months. To improve your CTR you should optimise your title tag and meta description. This is essentially your search engine listing explanation. To optimise you should place eye-catching keywords that compel the users to click on your website. 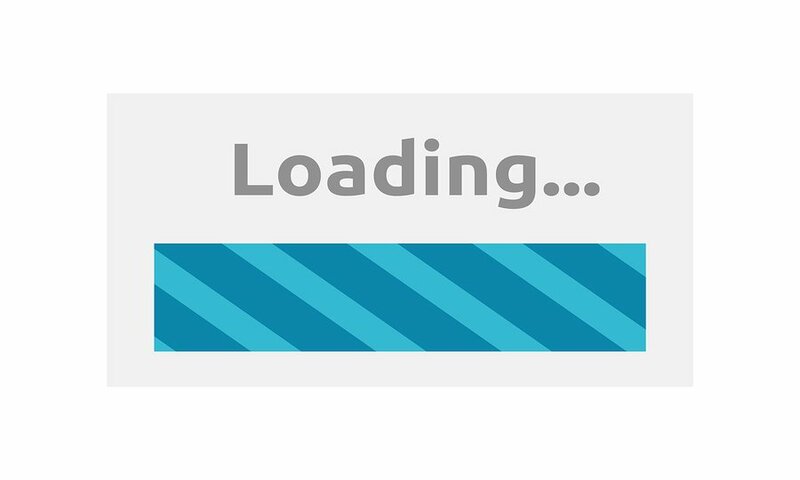 The loading bar is your worst nightmare, isn't it?! By improving your website’s speed you are ensuring users are happy and staying on your website for longer. As well as this, you are decreasing your bounce rate. These are all factors Google looks for when ranking. So you may think that it’s just speed, what does it matter, but there is actually a large knock on effect! To check your website’s speed you can use a tool call Google Page Speed. It’s free and gives you a lot of detail about your speed and what you can do to improve it. Just input your URL and you are given all the data you could possibly need. This is a great way to boost your links and then hopefully in turn boost your ranking. 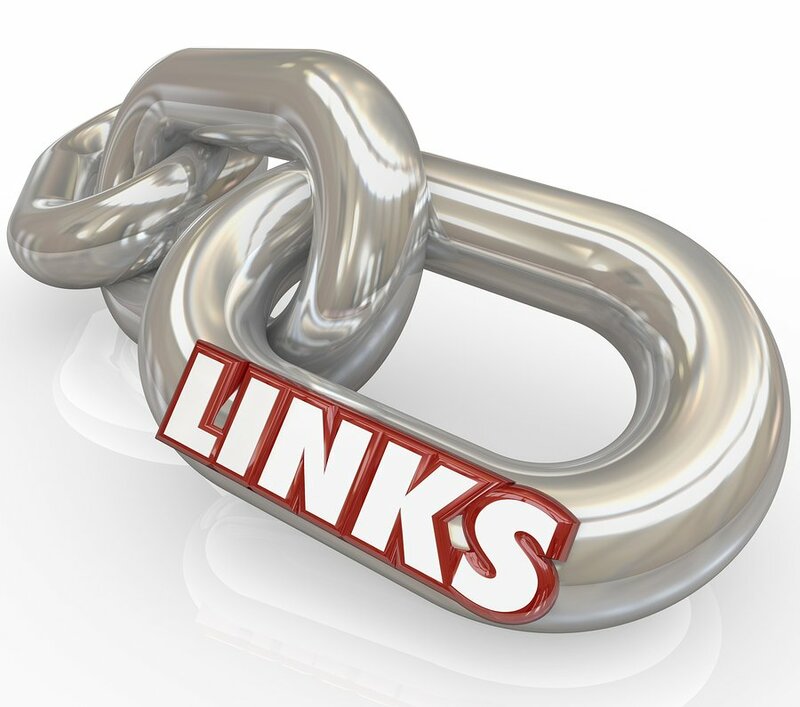 Internal linking is easy all you have to do is link one of your webpages to another. When doing this, it is important to avoid using rich anchor text. When starting to link internally, you probably won’t see immediate results. This is quite a slow process and can take more than 3 months to start seeing results. Make sure you do your internal linking properly and don’t randomly link one webpage to another just for the sake of it. 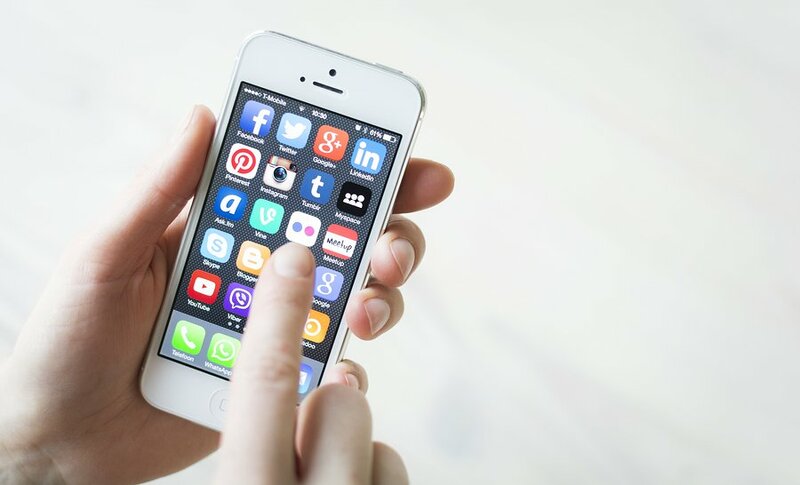 By increasing your social shares, you increase the likelihood that people will visit your website (i.e. more traffic). The more traffic you have sends a signal to Google that your website is actually important and should maintain a higher ranking. Okay so it’s a bit more complicated and definitely takes a while to see results. But by increasing your social shares along with other SEO and social media strategies you are sure to see an increase in your rankings eventually. Give users something of value (for example an e-book) if they share your content. SEO is a complex and fast moving industry. Things can change quickly, and turn your back for one second and you could be in real trouble. This has a direct impact on your ranking. One minute everything is fine and the next you are sitting on page 234,565,432! No matter how hard you work for your good first page ranking, nothing is set in stone. Things still change with or without your knowledge. As a result you could see a drop in your search engine rankings. There are a few reasons why your ranking could have dropped. You may have included some bad links when you were backlinking. Or a change in Google’s algorithm meant that something you were doing yesterday isn’t as effective today. You could have lost a positive link which impacts on the authority of your website. Or competitors have a new tactic and stolen your ranking from you. Or you could have designed a new style for your website which will inevitably see a drop in rank. However, never fear! There are always solutions to the problem. So make your identify the cause of the drop in ranking. That way you are better equipped to producing a solution that will work long term.